Mogan Princess & Beach Club is a four-star property that features modern guestrooms. This destination is famous among honeymooners, couples, families and solo travellers. As an all-inclusive hotel, it features two restaurants and two bars, three pools, mini club and tons of recreational activities. Children can join the mini club, where multilingual entertainment team will organize competitions and fun games for kids between 5 – 12 years. Apart from this, there is a mini disco for children, where they can learn new dance moves and have fun. Hair dresser and massages are available on request, but in the evening the hotel brings forth live events and professional shows that are suitable for guests of all ages. 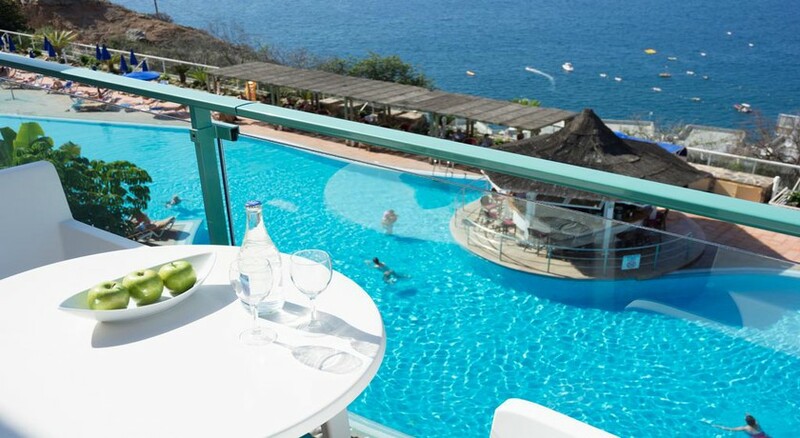 Mogan Princess & Beach Club is a four-star hotel located in the valley of Tauro, Gran Canaria. 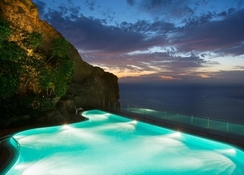 Built on a cliff, the views from the hotel are simply mesmerizing. There is a beach right below the hotel, but it also offers free shuttle to the Puerto de Mogán beach (15.7km) and to Puerto Rico (9.1km). The Lago Taurito Parque Acuático is also right below the hotel, but it’s about 1.4km. Some of the landmarks around the hotel are Playa de Taurito (800 metres), bus-stop (800 metres), Puerto de Mogán (20.9km), Anfi Tauro Golf (8.2km), Dunes of Maspalomas (25km), Palmitos Park – Zoological and botanical park (29.2km), Mundo Aborigen – museum (29.2km), Roque Nublo (48.6km) and Cruz de Tejeda (95.6km). Most of the shopping and dining areas are located in Puerto de Mogán. The Gran Canaria Airport is not more than 52km from the hotel. Mogan Princess & Beach Club features Standard Ocean, Superior Family Room and Suite. All the rooms are furnished with balcony that overlook various angles of the surroundings. These rooms are contemporary and well-furnished, equipped to offer modern travellers comfort and great quality sleep. You will find air conditioning, en suite bathroom with complete bath amenities, satellite TV, mini fridge, phone, pool towels, electric kettle and more—do note that you might have to locally pay to use some of the facilities in the room. Maid service and fresh towels and linens are provided daily; and extra bed, crib and safe deposit are available on request, and rooms are fitted with either double or twin beds—suites come with extra amenities and better views. There are two restaurants, a beach club and two bars out of which Princess Restaurant is the main restaurant. It serves breakfast (8am – 10:30am), lunch (1pm – 3pm) and dinner (7pm – 9pm) in international buffet style—it also features live cooking station and theme dinners. Meanwhile, the La Choza situated next to the main pool opens between 10:30am – 6pm and serves various snacks, cakes, shakes, cocktails and other hot and cold beverages. Beach Club opens between 11am – 6pm and serves snacks, salad and light meals— all-inclusive guests snacks are served from 12pm – 3pm. The hotel further houses two bars, the Bar Coco Loco (10am – 6pm) and Bar Salón Princess (6pm – 1am). These two bars serve an array of alcoholic and non-alcoholic drinks, a collection of local and international brands—the Bar Salón Princess is also the evening entertainment venue. The hotel features a series of recreational activities. 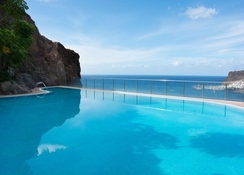 There’s an adults-only panoramic pool that offers sea view, a heated pool (main pool) and a children’s pool. 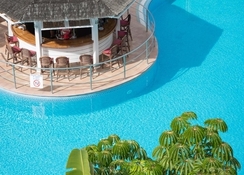 Plenty of loungers, parasols and lilos are available, and during the day time, the animation team organizes various fun activities such as water polo, aqua aerobics, aqua gymnasium and other engaging activities. You can use the internet café or visit the common TV lounge, or play table tennis, billiards and many other activities. We had a family holiday at this hotel and we had a fabulous time. The hotel was spotlessly clean and comfortable. Yes the rooms are slightly dated but that didn’t matter at all as they were comfy and had lots of storage space, small fridge, balcony and working air con. The food was plentiful, we had so much choice and it was always hot and fresh! Two of our children are gluten free and the head chef went out of his way to make sure they had food they enjoyed and had requested. Nothing was too much trouble for him (Jimmy) and he was so friendly too. The drinks package is what you’d expect. Beer was good but wine was lousy and warm. Gin was fine if you asked for a small one otherwise they were so big they weren’t enjoyable and way too strong! There were no fresh cocktails which would of been nice. The rooms are all set on a cliff side and it seems they put the English up on the top floor. 4 lifts or a maze of steps to get there which was totally confusing when we first arrived! A short walk down the hill to the town was lovely. Hotel bar on the beach was a great addition and the bar snacks were good and the bartender that worked there was so friendly. Beach was small but adequate with some watersports on offer. The hotel had a courtesy bus to the beach if you didn’t fancy the walk there or back and also once a day to the bigger town of Puerto Mogan and the market was well worth a visit. All in all a great hotel and we would definitely go back. We stayed here for 3 nights in September for a short break as 2 adults. The weather was amazing and on the whole we found the holiday enjoyable. It’s not a hotel for someone who would have difficulty walking, although there are lifts available there is still a lot of walking involved. There was free buses to the beach which took a few minutes and an all inclusive bar at the beach. Quite a few shops as well to buy some souvenirs. There is also a free bus to port Mogan which took about 20 mins. It’s very picturesque and has a lot more shops there. We always found something to eat at the all inclusive, not amazing food but nothing to complain about. The restaurant was always clean and the staff were very efficient. We would go back again as for the price it was well worth it. We went for a short 4 night break & that was great, but long enough for us. Built high on the side of a mountain & being on the second from top floor the view was spectacular but getting 4 lifts to the pool became a little tiresome. Food & drink was better than expected & the pool nice, but the no reserving loungers was not enforced and quite a lot had no shade. As far as we could tell there was little to do outside of the hotel. It’s a bit isolated & as said it’s up the side of a mountain. Of course there are excursions, buses & taxis, but there is no long walks along the promenade finding another little taverna. All in all we enjoyed our break, the hotel was good & good value. Would we go back? Probably not. Stayed here for 2 weeks in July. The best thing about the hotel is definitely the views. The staff are friendly and work very hard. The food is great with plenty of choice for every meal. The pool area is nice with a great pool bar. Room is nice, double bed was 2 singles pushed together but I didn’t mind. Entertainment was good, there was something different every night from magic shows, tribute acts, dancers, reptile shows, cabaret. Karaoke was a couple of times a week after the main act. I opted for the premium all inclusive (15 euros extra per day of your stay) which gives you branded spirits and bottled beer (which was a life saver because I wasn’t a big fan of the draught beer they had), it also gives you table service drinks at lunch and dinner. The staff as hard as they work don’t seem to notice the premium wrist band a lot of the time. Despite asking for a particular brand of alcohol they’d start pouring the cheap version. And I was offered a drink with lunch/dinner around 1/3rd of the time. Each member of the bar staff were better with the drinks once corrected the first time though. There’s some lovely spots of the hotel, for example the terrace was a lovely spot for a beer on the evening. On my last night the new sunset bar opened there, which is lovely but made the area busier. There’s 2 small supermarkets one near the hotel and one near the beach. The one nearer the beach is the cheaper of the 2, but you get much better value using a supermarket in another resort, I’d recommend using the free daily shuttle to Mogan and using the supermarket whilst there. The bus company also runs a free bus to Playa del Cura every 30 minutes from there you can get a bus to pretty much anywhere on the island. Which is a lot cheaper than taxis (13 euros to Puerto Rico, 30 euros to Maspalomas). To get a lounger at the adult pool, you’ll have to put a towel down early (despite the hotel apparently having a rule against this) or you’ll not get one. In my 2 weeks there I was sadly not able to use he adult pool because of this. Overall I had a very enjoyable stay and would recommend this hotel if you’re looking for a nice quiet get away. Couldn't fault this hotel or staff, had an amazing 4 day late deal. Everything was better than expected for the price we paid. 6 very happy work colleagues enjoyed a relaxed time in this lovely hotel. An absolutely wonderful holiday, friendly staff, clean hotel and excellent views.